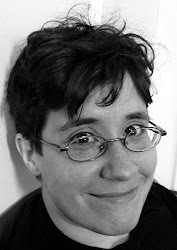 StenoKnight CART Blog: Support The Future of Steno! Support The Future of Steno! This poor blog has been sadly neglected lately, but someone pointed out that I should probably alert its readers to the ongoing crowdfunding campaign we're currently running over at The Open Steno Project. I mostly post about Open Steno Project stuff over at The Plover Blog, which is targeted towards steno amateurs and hobbyists rather than professionals. This blog, by contrast, mostly assumes an audience of professional captioners like me. It's a small group of people (only 465 Certified Realtime Captioners in the United States, according to the NCRA Online Sourcebook! ), but one that's obviously extremely close to my heart. So here's my appeal, addressed to any of my colleagues and future colleges who might read this blog. The number of people who can use a steno machine has been trending gradually but inexorably downwards for a very long time. Machine steno used to be taught in high schools, secretarial schools, anywhere it might be useful for someone to learn a faster method of transcription than longhand, pen shorthand, or typewriting. Manual steno machines were inexpensive and plentiful. They could be bought on a whim. Some people who learned machine steno studied it diligently enough to become professional court reporters. Others, who couldn't quite match courtroom speeds, used them to take dictation. Some probably just learned the skill for fun, or in case it might become useful at some point in the future. Then came the 1980s, when for the first time you didn't need to transcribe your steno notes into English for them to be useful. Computers were able to do that for you. That's when steno went on lockdown, and that's when the decline began. Instead of $30 for a machine and a short self-study course or a few semesters at a trade school, you suddenly needed to pay thousands of dollars for hardware and software. Trade schools became eligible for Federal student loan money and started charging up to $20,000 a year for court reporting programs, despite the fact that, as always, there was an 85% dropout rate from court reporting programs. Steno was no longer something people could pick up and teach themselves on a whim. You had to pay dearly just to give it a try, and if you weren't in the 15% that got to professional court reporting speeds, the price of failure was enormous. Most professional stenographers -- court reporters and captioners -- know all of this already. But what we don't always admit to ourselves is that if we don't drastically change something, our profession won't continue to exist in the future. Our technology is by far the fastest and most accurate means of turning human speech into realtime text, but if fewer and fewer people continue to learn how to use it, our deaf and hard of hearing clients will have to settle for whatever accommodations are available to them. Some people have proposed initiatives to get more high school students into steno schools, but that seems ill-advised to me. Is it ethical to encourage kids to spend huge amounts of money on software, hardware, and schooling, even if most of them might not have the baseline fine motor skills or literacy skills or dedication or determination or whatever ineffable thing ensures that they become one of the successful 15%? However you cut it, those are not good odds. Wouldn't it be better to give a huge number of people the opportunity to develop baseline steno skills first, without any real risk or financial barriers, and then let the best and brightest of that number continue on to professional careers, while the rest float along happily at a hobbyist or amateur level, writing at 140 to 160 words per minute and ecstatic to have doubled their qwerty speed? A huge number of people spend their days entering text at a computer. Why not give them the opportunity to do that more quickly and efficiently? Why should this machine only be considered useful at speeds above 200 WPM? This is the reason for the Steno Arcade campaign. Over the last five years, about 500 people have attempted to teach themselves steno using $40 to $200 hardware and our free online textbook. Many of them have succeeded and are delighted with their new skill. A precious few of those have gone on to professional certification as realtime captioners or court reporters. 500 people isn't bad, but we could reach so many more. In the time since we launched the playable demo of Steno Hero on Steam, we've had over 5,000 downloads. 5,000 people have gotten a taste of our game, and most of them love it! Not everyone wants to teach themselves a new skill out of a textbook. Many, many people learn new skills every day by playing video games. Often that skill is just "be better at this specific video game", but people have learned how to play guitar, how to draw, how to fly an airplane, and, of course, how to touch-type. Any skill that requires repetitive practice of granular movements that start easy and gradually increase in difficulty can be taught and reinforced with a video game. Steno meets these criteria beautifully. That's why we're building a free video game suite to teach steno. Our software is already free. Our hardware is already affordable. Two of the three barriers that were built against free and widespread access to steno in the early computer age have already toppled. The only piece left is education. 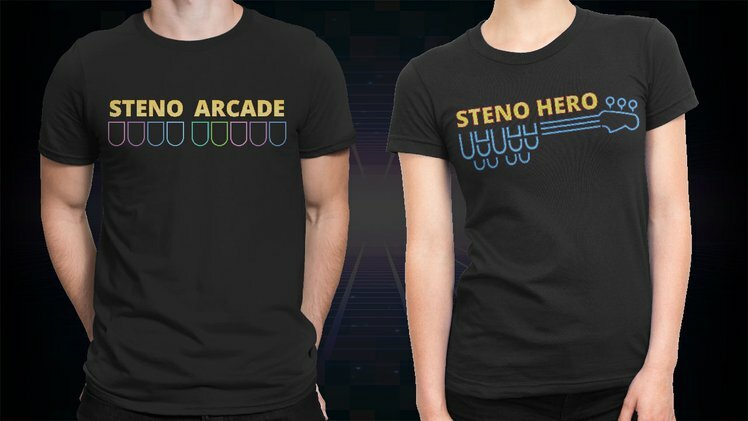 If you contribute to the Steno Arcade campaign, you will help bring steno into the living room of a middle schooler, high schooler, college student, or career-pivoting young adult. They'll pick it up on a whim, just as people did with those big, heavy manual machines nearly a century ago, and they'll give it a try. They'll start out slow and awkward, gradually pick up speed, eventually find that they're writing faster on their steno machine than they ever managed on their qwerty keyboard, and a few of them will decide that they want to pursue the breathless rush of turning words to text at 200+ WPM as a career. Short of this, I don't see the trajectory of our profession changing in any meaningful way. Fewer people will enter steno schools. Most will drop out. Those that succeed will see their colleagues retiring around them without anyone younger coming in to take their place. I love steno with all my heart. I don't want to see that happen. If you care about this technology and this profession, please consider contributing to the Steno Arcade campaign, or at least spreading it around to friends, colleagues, and potential future colleagues. If we can make this happen, we can turn that trajectory around and make sure that our jobs and the clients who rely on them are supported and secure, well into the future. Be a Steno Hero! Help us build Steno Arcade! Nicely written! I think the things you touch upon are just a few of the many ways we can build this profession. Well done!